The car is in original trim with no mods, no rust, and all its original panels. The engine has not been re-bored uses no oil, no rattles, no smoke and runs great despite the 220,000 miles it has covered. I have owned the car for 18 years and it has been well maintained and is in very good condition, in fact it looks in quite mint condition. It is in rare Moondust silver, about 72 made in this colour, around 30 remaining and mine is the only one in NZ as far as I am aware. 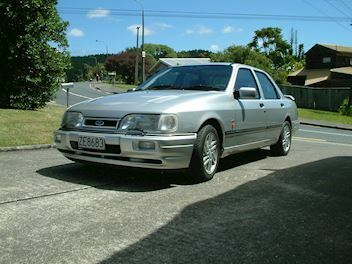 I have the English history for the car up until 1996 when it was imported into NZ. Selling with all the spares I have which includes another gearbox, used suspension components, a new radiator, around 4 metres of original seat cloth, internal rubber windscreen surround, 4 new lucas head lights, plus an indicator light or two. An appreciating modern classic that keeps going up in value.